Climate change and global warming urge scientists to take action and save our planet by reducing carbon emissions. We should convert the energy provided by the sun, to a useful form. 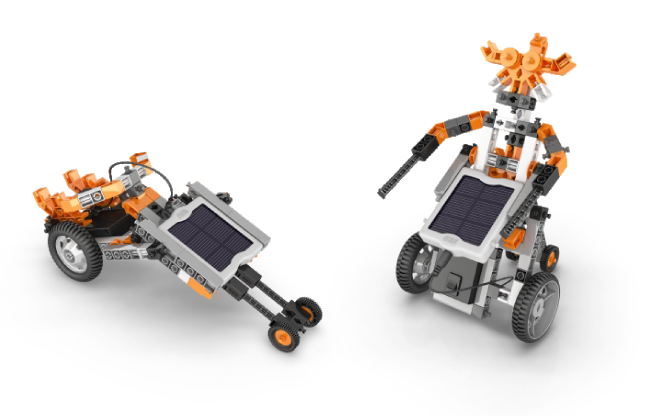 The set includes one 3V solar panel, a motor and a wire and can be used in combination with the products E20, E30, E40. Conduct experiments and discover the operation of solar panels and factors that affect their efficiency. 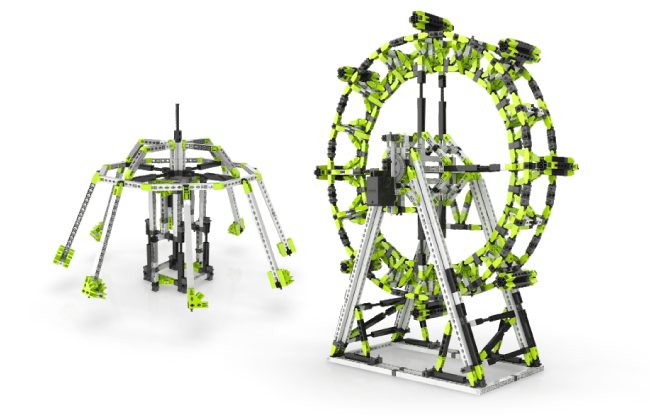 This set comes in a plastic tub and includes one geared motor to power four large-scale models: Ferris wheel, London Eye, merrygo-round and booster ride. You can also build four smaller models such as a gearbox, an experimental crane, a carousel and a planetarium. Conduct thought-provoking experiments to discover the application of gears in mechanical systems. The Architecture Set demonstrates the ability of ENGINO® to build huge models of impressive size and style. 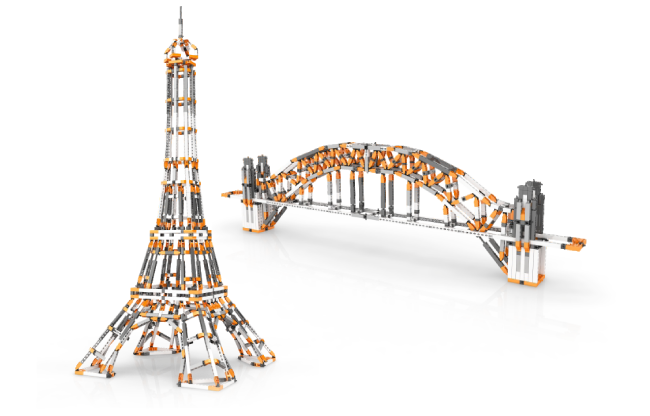 Students can explore the archetypes of different types of bridges and build two oversized models of the Sydney Bridge and the Eiffel Tower. Through experimentation they can learn and deploy methods to construct rigid and functional structures. 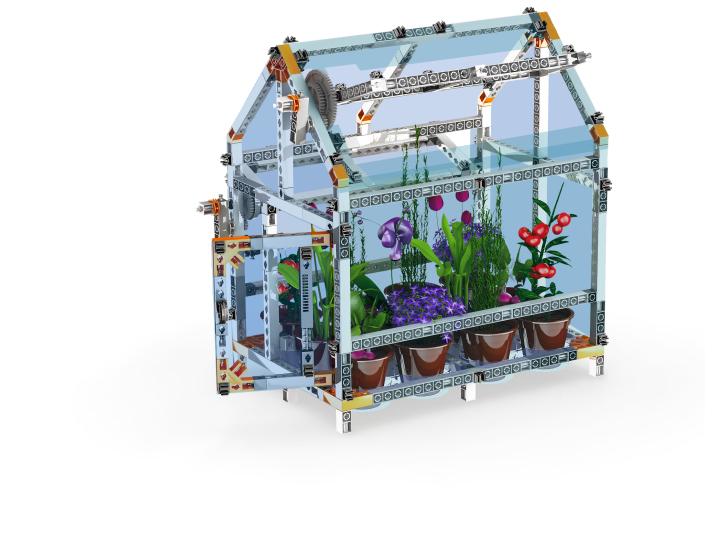 This amazing and fully functional greenhouse model makes seeds fertilize and grow! Turn it to a botanic laboratory and conduct experiments. Control the conditions inside your greenhouse and learn how temperature, moistening and light affect the growth of plants. Learn about the life cycle of plants and understand the process of photosynthesis. 2019 © Engino Education. All rights reserved. Cookies are used in our website. If you proceed using this website you give your consent to our Cookies Policy! Learn more!